This is a follow up to my Illegalities post. Practically everyone knows about the Kirby, ILCA, ISAF, LP, PSA, Rastegar lawsuit. The various forums have been buzzing for years now about who is right and wrong and Kirby, the ILCA and Laser Performance have been repeatedly tried and convicted by countless posters with uninformed, biased opinions. Fortunately, our laws don't work that way. Trials allow an impartial Judge or jury to decide proper application of the law and then to decide on appropriate penalties. 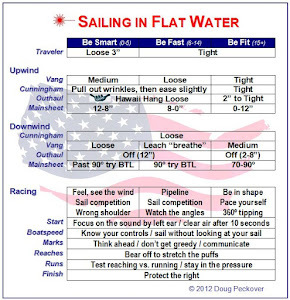 Our Racing Rules of Sailing and the ILCA Class Rules are no different. They have put a system of protests, protest hearings and appeals in place whereby, those who are qualified, interpret the rules and decide on appropriate penalties, if any. Many people protesting another have been convinced beyond doubt that they were correct only to find that they were not and that they misunderstood the rules. Doug is a front of the fleet sailor. When someone protests him on the water, right or wrong, he concedes, does his circles and moves on. If he breaks a rule that he is aware of: hitting a mark, fouling a boat, etc., he does his circles and moves on. When an anonymous comment suggested he broke a rule, he didn't agree and didn't really pay any attention to it. But when "anonymous" continued to press and outright called his behavior illegal, while Doug still did not agree he was prepared to concede, withdraw and move on. I called foul and said no way. I read the rule, I read the SIs and I suggested he run it past the properly authorized authority who said he should not withdraw. Additional comments have already tried and convicted Doug. So, I read the RRS and then I consulted with a US Sailing Judge and asked him to explain how 43.1(a) and 43.1(b) related to each other and the intent of the rule. He explained that 43.1(a) was to prevent the use of clothing that was specifically modified to include the insertion of weights (weight jackets, for example). He explained that because it is also possible to add weight by layering up that 43.1(b) was to impose a maximum limit of weight that could be added by layering up. Appendix H specifies how to measure any additional weight that is added. So, I asked if I added a cotton layer that had the (intended or unintended) effect of adding weight but I was still way under the maximum allowed under 43.1(b) as measured by Appendix H, does that violate 43.1(a) and he said no, that's fine. 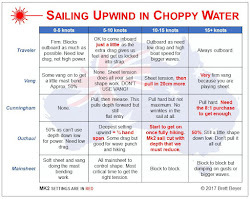 A US Sailing Judge is qualified to know the rules, why they were established and how to apply them. I trust his opinion far more than an anonymous comment. I do not know whether a consensus of Sailing Judges would all come to the same conclusion though. 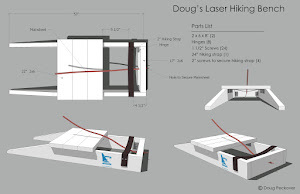 However, I continued to research and read the Laser Class rules when it comes to the weight of clothing even though no one mentioned any violation of Laser Class rules. The Laser Class rules modify RRS 43.1(b) in a way permitted by the RRS but they also modify Appendix H which is specifically prohibited. Gasp ... did the ILCA break a RRS rule? Then they added a little twist about a prohibition on non-floating clothing and equipment that probably few people know about that leaves me with unanswered questions about the definition of "dead weight" and "protective clothing." "Cheating" as defined by the Laser Class rules is doing something you know is illegal. Sportsmanship, as defined by the RRS indicates that if a competitor breaks a rule, they should promptly take a penalty which may be to retire. There is no way to cheat if you do not know if something is illegal and there is no way to immediately take a penalty if you do not know if a rule has been broken. Yes, we should all play by the same rules and we should take our penalties when we know that we have broken a rule. But what about when you don't know if you've broken a rule but someone who does not have the authority to protest you nor the qualification to interpret the rules, declares that you have broken a rule but those that who have the authority to protest you refuse to do so and those who are qualified to interpret the rules say that you have not broken a rule. What then? Here are the applicable rules ... so far as I know. Educate yourselves and ask questions from those that are qualified to answer them. 43.1 (a) Competitors shall not wear or carry clothing or equipment for the purpose of increasing their weight. (b) Furthermore, a competitor’s clothing and equipment shall not weigh more than 8 kilograms, excluding a hiking or trapeze harness and clothing (including footwear) worn only below the knee. Class rules or sailing instructions may specify a lower weight or a higher weight up to 10 kilograms. Class rules may include footwear and other clothing worn below the knee within that weight. A hiking or trapeze harness shall have positive buoyancy and shall not weigh more than 2 kilograms, except that class rules may specify a higher weight up to 4 kilograms. Weights shall be determined as required by Appendix H.
(c) When an equipment inspector or a measurer in charge of weighing clothing and equipment believes a competitor may have broken rule 43.1(a) or 43.1(b) he shall report the matter in writing to the race committee. as to allow the water to drain freely. Pockets that have drain-holes that cannot be closed shall be empty, but pockets or items that can hold water shall be full. H2 When the weight recorded exceeds the amount permitted, the competitor may rearrange the items on the rack and the equipment inspector or measurer shall again soak and weigh them. This procedure may be repeated a second time if the weight still exceeds the amount permitted. H3 A competitor wearing a dry suit may choose an alternative means of weighing the items. (a) The dry suit and items of clothing and equipment that are worn outside the dry suit shall be weighed as described above. (b) Clothing worn underneath the dry suit shall be weighed as worn while racing, without draining. (c) The two weights shall be added together. (a) Prescriptions of a national authority may change a racing rule, but not the Definitions; a rule in the Introduction; Sportsmanship and the Rules; Part 1, 2 or 7; rule 42, 43, 69, 70, 71, 75, 76.3, 79 or 80; a rule of an appendix that changes one of these rules; Appendix H or N; or ISAF Regulation 19, 20, 21 or 22. (b) Sailing instructions may change a racing rule by referring specifically to it and stating the change, but not rules 76.1 or 76.2, Appendix R, or a rule listed in rule 86.1(a). (c) Class rules may change only racing rules 42, 49, 50, 51, 52, 53 and 54. Such changes shall refer specifically to the rule and state the change. In our sport in every club and class there is the odd person who needs to cheat to win. Cheating is doing something that you know is illegal. Whether you gain an advantage or not is irrelevant. (a) In alteration of RRS 43.1 (b) the maximum total weight of competitors’ clothing and equipment shall be 9 kg (for Laser Radial and 4.7 rigs please see part 4). exceeds 500 grammes dead weight except protective sailing clothing. (c) For the purposes of weighing clothing and equipment as required by RRS Appendix H three coat hangers may be used instead of a rack. Only Doug can decide what his purpose was in wearing the item. It is inappropriate for third parties to decide what his intent was based on a blog entry. Blogs are imprecise documents and are meant to be "thought-streams", not absolute and complete capture of all the facts. Doug: Please keep blogging and do not be discouraged. I really appreciate all your posts, including this one from Pam. A pretty sloppy rule. First we wore sweat shirts and dragged in the water to be sure they were heavy. Then we had water jackets to wear. and then they said we had to have air in the jacket also so it would help us float if we were out of the boat. Now you can have so much weight if you say it is for warmth or for padding , but not if you add it to gain weight. Doesn't make much sense. I am not a Sailing Judge but a simple sailor thinking with his Engineer mind. Rule 43.1 wants to avoid that someone carries clothing or equipment expressely conceived to increase his weight. Everybody knows that a wet T-shirt weights more than nothing but the T-shirt is not a piece of equipment conceived to increase the weight, he has or can have a different aim. To avoid that a sailor wears too many T-shirts (wet or dry) another rule states the maximum weight of the clothes/equipment. That's all. Even if Doug ingenuously wrote he decided to wear a piece of cloth to increase his weight we shall not negatively judge his intention. We should only ask Doug if the total weight of his clothes exceeded the allowed limit. I do not ask him because I saw how light gear he was wearing during these windy regattas compared to my Zhik superwarm gear! Doug and Pam: thanks for your blogs and your contagious enthusiasm in sailing, please go on full speed ahead! Thank you Michael, Sam and Roberto for your support and comments (and willingness to identify yourselves). I do plan to seek further clarification and interpretation of the rules from both the proper sailing authorities and the Laser class just to satisfy my curiosity. Roberto, it was nice to meet you in France. Doug got "chicked" in Oman and switched back to the full rig. After you beat up on him that first day at the Worlds, he was saying he had been "Italianed." He looks forward to sailing with you again. The blogs are amazing. Please never stop! I'm weighing in very late as I'm still not home. It's a pity that some people choose to hide behind the "Anonymous" moniker. I know it was not Doug's intention to cheat. However, as usual, I've learned a lot from the posts and the subsequent saga and my knowledge of the RRS has been enhanced. That's always been Doug and Pam's intention with the blog so I sincerely hope that they push on with it and not worry about it too much. I also find myself in the too light range for the Laser, but the difference for me is that I'm too light for the Radial. I weigh less than nearly all the competitors in the 4.7s, so I struggled in the heavy Hyeres breezes. I feel Doug may have been a bit hasty in switching to the full rig, and he would certainly have done much better had he sailed a Radial. Doug is in a much better position than I am, as all he has to do is swap back to the Radial. I cannot swap to a 4.7 as there is no meaningful competition for Masters in that rig at regattas and none whatsoever at the club where I sail. So for me, I'll just stick with the good and the bad. I know I'll be at a disadvantage in the heavy stuff, but also, I'll have no excuses in the lighter stuff! I am not that guy......although when I was a 135 pound high school senior and college freshman I would wear a Patagonia fleece outside my drysuit in heavy air when racing. I never embraced the radial as no one in my fleet had one. I was even protested at a college regatta and in the middle.of the hearing the Harvard? Coach burst in with a scale and asked me to step on it. Then he looked at the 3rd place finisher at 5 foot 11 and 190 pounds and asked if he would have protested me even if i had not beaten him. It worked for me then. I would not consider doing it now. Technique is better than weight.